We know that you love going to the spa! Give your hair a spa treatment with our Revitalized Shampoo And Conditioner. 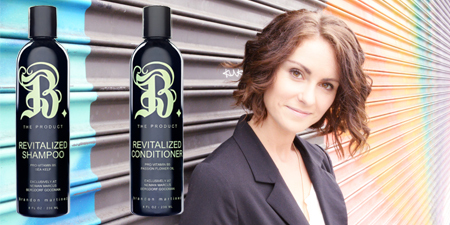 Get the full-size Revitalized Conditioner free when you purchase the Shampoo! This is a $65 value for just $32! Offer ends Friday, June 19th 2015. What's so great about the Revitalized Shampoo And Conditioner? Originally developed for Neiman Marcus, this B. The Product deep cleansing shampoo and conditioner revitalizes and moisturizes, providing shine and manageability without weighing hair down. What's In It: Buriti Oil for conditioning. Sea Kelp and Seaweed granules for moisturizing and exfoliating. Usage: Apply to wet hair and work into your scalp, then rinse. Follow with B. Revitalized Conditioner.